The Mockingbird narration included a reference to Talking Heads’ David Byrne, who appeared in the mountain as the face of Icculus. As Trey told the story, Byrne threw Colonel Forbin off the mountain and into the arms of the “evil” Famous Mockingbird. The second set "musical costume" was Talking Heads' Remain in Light. All of the Remain in Light songs were Phish debuts; the set featured Karl Perazzo on percussion, Dave Grippo on saxophone, and Gary Gazaway on trumpet. Perazzo also played during the entire third set. Jesus Just Left Chicago, Suzy Greenberg, and Frankenstein also featured Grippo and Gazaway. At the end of Houses in Motion (which featured Trey teasing Tweezer), an armchair was brought out to the center of the stage and Mike sat in it to sing Seen and Not Seen. While he sang, Karl Perazzo drummed and Trey played bass. After Overload, a bizarre on-stage demonstration closed the set. The third set opened with a Feel Like a Stranger tease. Suzy included a Born Under Punches tease from Page. Simple included a tease of Mama Told Me Not to Come. The soundcheck's Overload was performed with horns and briefly featured Fish on vacuum. This show was officially released as Live Phish 15. It was evident before this show even started that this third Halloween "musical costume" show was going to be special. 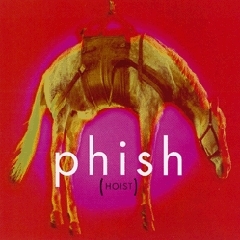 To begin with, Phish ended fan voting for the cover album and decided to choose it themselves. They also eliminated the element of surprise because as we walked in they handed us a program revealing the album to be Remain in Light by the Talking Heads. 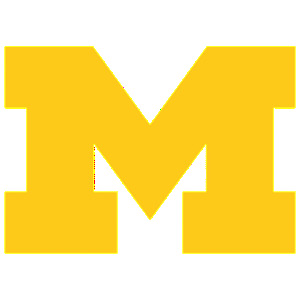 However, many fans thought the program was a hoax and just another Phish joke on us. The Phishbill was indeed humorous, but it was also legitimate. RIL was the riskiest album choice to date, yet surprisingly it would go on to have more influence on Phish's music than any of the other Halloween choices. Showing us they meant business on Halloween, this show surprisingly opens up with a rare “Sanity” and the highly appropriate hard-rocker “Highway to Hell”. This tune, normally a set closer, had the crowd in a diabolical Halloween frenzy with heads bangin' and fists pumping in celebration of the evil holiday. The opening of the show didn't let up, it continued to rage as “DWD” followed. It had a fast-paced, gorgeous groove and was tight and energetic. While many versions in 1996 were unfinished, this “DWD” deceptively snuck into the closing theme and ended with a strong, solid finish. The “Disease” punched into a decent but fairly average “YEM” that featured menacing soloing from Trey. This unbelievable string of crowd favorites was a tremendous way to start the show, as one can't argue with a one-two-three-four punch like this madness. Later in the set the band finished a majestic “Reba” with the now rare whistling and "bag it, tag it" ending. The always fun “Forbin” > “Mockingbird” featured a story about David Byrne, giant zoot suit and all, knocking Forbin into outer space. Trey went on to describe how the Mockingbird was coming to save Forbin, but it turned out to be the horrible, evil Mockingbird and it pecked out Forbin's eyes instead of saving him. “Character Zero” and the “Star-Spangled Banner” closed out this ninety-minute all-star Phish interlude and set the tone for Set II…that is, if anything could really set the tone for what we were about to witness. Remain in Light was such a risky choice because very few fans were familiar with it and the music itself was such a radical departure from the Phish sound at the time. Despite the lack of familiarity, fans had no trouble getting down to the Talking Heads' disco/pop/funk/fusion masterpiece. The opening of “Born Under Punches” was a complex yet soothing breath of air following the very intense first set. The smooth, flowing song built up subtly until three vocal tracks combined with Page's techno keyboard sequences and Trey's funk guitar. As the tune wound down, Gary Gazaway and Dave Grippo chimed in a few squawks, warming up for the ensuing mayhem of “Crosseyed and Painless”. Yes, this is where all those “C&P” teases to come first originated. The Halloween version introduced us to the driving percussion of Karl Perazzo, and in a sense, to Phish 2000. Fishman was able to pull off Byrne's vocals quite accurately and still kept the backbeat going. The horns added another layer to the tune, helping to transform it from an electronic, ultra-produced piece of studio mastery into an onstage rocker. Perazzo took center stage at the end of “C&P” with a percussion solo, which exploded into “The Great Curve”, one of the highlights of the night. This tune featured intense, almost “Llama”-like chordings and peaked at the end when Trey took a blistering solo, his only one of the RIL set. At the song's conclusion the Omni erupted and Fishman let out a shriek. Once in a Lifetime, the one song everyone knew, was next and ended the upbeat part of the album. From this song the album launches into its darker, somber side. My only criticism of this album is that the second half loses all the intensity and energy that was established in the first half. The first half absolutely rages, only to come crashing down into the mellow, occasionally boring second half. The eerie, atmospheric funk tunes begin with “Houses in Motion”, which featured a spectacular segue into “Seen and Not Seen”. Next, Mike took center stage as he sat in a giant La-Z-Boy rocking chair and turned “Listening Wind” into an almost spoken-word type performance. The album came to a bizarre, dramatic conclusion with “The Overload”. As TVs blasted obnoxious video clips, Phish created a massive, eerie, industrial, chaotic wall of sound with real chainsaws, jackhammers, and other power tools. They were illustrating one of the themes of RIL, information and media overload. But it was ironic because at the time of this concert, Phish was getting the most media attention they had ever received. After years of ignoring Phish, Rolling Stone, MTV, CNN, and other major media outlets finally caught on and were running feature stories on the band. Was Phish trying to make a statement about their growing popularity and the crush of media and fan attention? This set ushered in the Phish era of funk-style jamming that would last throughout the next year. The band's improvisations became tighter and more group-oriented. All four musicians began to play as one solid unit and they became a finely tuned groove machine. This new style of jamming was most noticeable in Trey's guitar playing. He began to limit his flashy, fiery solos and became a more rhythm-based, group-oriented guitarist. The RIL set was amazing because it was one long, mesmerizing, hypnotic groove. It was an exploration of complicated polyrhythms, textures, and sounds. The set emits a special, swirling, spellbinding aura that still holds up well after repeated listens. RIL is also full of contrasts. It is raging yet soothing, tribal yet futuristic, and psychedelic yet funky. For this album to be pulled off successfully, the rhythm section of Mike and Fishman had to be in top form. Mike, who always has his game face on, looked the most focused I have ever seen him while he pounded away at his bass. His head bobbed furiously as he worked diligently to keep the constant groove flowing throughout the entire album. I did not dance much during this set even though RIL is a tremendously funky and easily danceable album. Instead, I just stood there, hypnotized by the groove and soaking in the atmospheric sounds. I was captivated by this sonic masterpiece with layers of textural guitars and polyrhythms enveloping me. A few people were disappointed with the album choice of RIL. 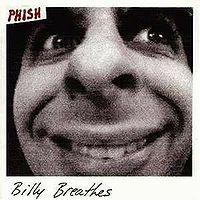 However, Phish surely cheered those fans up when they played the rare fan favorite “Brother” to open up the third set. This version was spectacular and more melodic than most versions. Usually, this song is a loud rocker full of monster power chords. Although this version did indeed rock, it was not as quite as heavy-sounding as usual. If there is such a thing as a pretty-sounding “Brother”, this is it. Since there were few, if any, guitar solos during RIL, Trey was anxious to solo. He was the star of this tune and his solos were high-pitched and melodic. Since this was now the official age of funk, a nice, funky “2001” was next and led into “Maze”. This electrifying “Maze” was on fire as Karl Perazzo bashed away on percussion. The musical tension seemed never-ending as the Maze kept building and building up to an intense peak. Karl Perazzo did his best work during the Talking Heads set. However, out of all the Phish tunes, he sounded best during “Maze” and “Simple”. “Simple”, a song that drastically improved in 1996, was up next. This song used to be a fairly "simple" rocker. But during the Fall Tour the band began to add on an extended jam section. The “Simple” jam at this show was long and beautiful. It was a mellow, but gorgeous jam that eventually segued into “Jesus Just Left Chicago”, which began the horn segment of the set. Now it was Dave "the Truth" Grippo's chance to shine. He came onstage during “Jesus” and remained there for the rest of the set. Grippo belted out some soulful solos, making this a good version, but nothing like the 1995 Halloween masterpiece in Chicago itself. The set ended with “Suzie Greenberg”, a song Phish traditionally plays when the horn section is in the house. Gary Gazaway took an atonal solo worthy of his nickname "El Buho." There were a few quick “Born Under Punches” teases so we could get a last tiny dose of Talking Heads before we went home. The horns came back out for an appropriate “Frankenstein” encore. The horns added another dimension to this classic-rock tune. This unique version was a great way to end the night with a final nod to Halloween, the holiday when some of the best Phish shows of all time occurred. In fact, the show was so amazing that Atlanta city officials determined that the Omni could never rock so hard again and was not safe enough for any more concerts. Phish had blown the roof off the arena and their power tools had loosened the foundation. A few months later the Omni was demolished. Rumor had it that you could still hear the bizarre feedback from The Overload languishing in the rubble. As a life long grateful dead fan who kept putting off seeing phish in previous years, '96 was finally time to go see these guys. Life changing experience? Absolutely! Having never listened to phish, I had no idea what to expect. Looking back, I wouldn't change that experience for anything. Being a talking heads fan, RIL was brilliantly performed and definitely threw me for a loop. But what got me hooked was the DWD-YEM and Reba from the first set. Things have never been he same since. i walked out of the show thinking "one of the best shows ever". years later, i purchased the 'live phish' soundboard from this night, and initially i was concerned that maybe i built it up in my head too much over time & would be ultimately let down....nope, it was just as good as i remembered! With hindsight on our side >15 years past this important night in the band's history, it becomes clear that this was the birth of a new era of Phish. As others have pointed out, Trey isn't taking a back seat here and he's not driving either-- he is just another equal part of the musical collective. Halloween planted the seed, which germinated in the Fall of '96, peaked its head above the soil in Europe in the Spring of '97, and by Fall '97, was the Greatest Thing Ever. I should probably also mention that this is the undisputed heavyweight of all Halloween covers Phish performed. 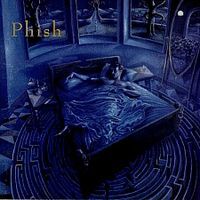 I prefer the third set of 10/31/98 to all other Phish-tune-based Halloween sandwich sets (despite Trey walking off the stage *right* when Ghost was about to explode), but as far as the actual cover album goes, this is the cream of the crop. If you haven't heard it, buy it now and thank me (and Phish!) later. As a night of music on tape, this is a pretty decent if not spectacular show - the first set YEM and Reba are fine but nothing to write home about; the actual RIL set is great and hews very closely to the original except for the occasional (Type I) extended jam, which is to say don't expect the C&P here to blow you away or anything; and the third set has an amazing setlist but isn't as spectacular as, say, the previous year's 3rd set (or, I guess, just the YEM), even though the Maze/Simple run is really strong and Perazzo for an entire set is something that should not be taken lightly (which makes the WAY TOO SHORT 2001 almost a slap in the face). As a moment in Phish history, this show is about as monumental as it gets, as the ideas of minimalism and tighter, funkier jamming and guitar as singular thread in jam tapestry that Phish retained from playing Remain in Light, one of my favorite albums ever*, would stay with them into the following year, culminating in their greatest tour in November and December. Absolutely recommended, both for the music and for what that music meant. *So yes, I'm totally biased both from a Talking Heads fan standpoint and a Fall '97 standpoint, but these are both awesome things, aren't they? Although that bias does mean I'm forever bothered by the first review's somewhat offhand dismissal of RIL - the two album sides are *meant* to work that way, for Pete's sake! The 3rd set of this show was what you might call Primal Phish. Having succeeded to pull off the musical costume (and then some), it was time to let loose, and that they did. Previous reviewers hit the nails on the heads, so I will only add one thing - most of my Grateful Dead shows were at the Omni (being from Florida and having attended Duke and U of F, Atlanta was never more than a few hours away!). It was nice to get in one more before they tore it down...after all, what is a band without skyscrapers? Skyscraper is grand indeed, and the boys knew it. Thanks Omni! Some phans overlook or pooh-pooh the first set of this show, which is probably understandable given the watershed greatness of the second set and the Perazzo-guesting third, but I really enjoy listening to this show front to back. This would've been a hometown show for me if I had paid a little more attention to my cooler, elder friends circa 1996, but I probably couldn't've got my Dad to take me to it at 12 years old, anyway, and if he had he probably wouldn't've been cool with the scene. Ah well. I got my LivePhish download.